I’m Venezuelan living in Panama for 6 years now. I just fell in love with this country that offers beautiful landscapes, charming people, and great culture. Panama stands by its slogan: Much more than a Canal! I personally believe it’s totally true! "I specialize on tailor-made trips to discover Panama and all of its blessings." "I had already traveled a lot in my country, and during my years in college, I visited South America. I discovered a passion for traveling and meeting new cultures. My arrival in tourism wasn't planeside though. I was studying Foreign Languages and was contacted by a local agency that needed someone with knowledge of the country. I found myself driven by the love of promoting the beauties of my country to the world and sharing my experiences. When I moved to Panama it was natural for me to still be involved in tourism since it is a country that deserves to be discovered...It’s magical!" "When I did the Mt. Roraima Trek! I always had this trip on my bucket list, but since it’s a very demanding trek (physically and mentally) I kept on postponing it. When I finally decided to do it I was overwhelmed by the videos, experiences (good & bad) and photos, so I decided to just go for it and planned the whole thing. 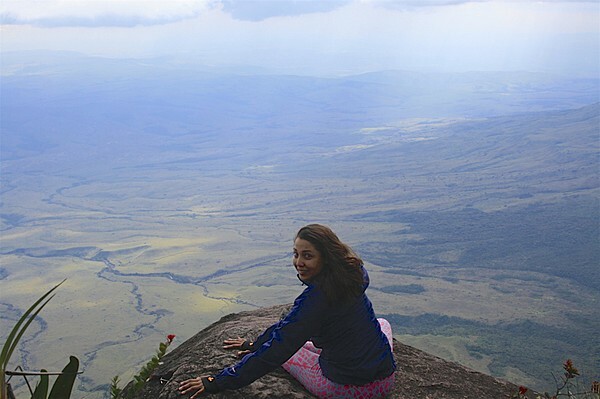 I must say that I had never trained as hard as I did for this trek, but the breath-taking views over the “Sabana”, the wow factor that waited for me on the top of this “Tepuy”, the unique experience that I got to live, made every effort totally worth it!" The overall experience with Zulmy and Kim Kim went beyond my expectations. Zulmy was nice to work with via the internet, and the resulting trip was excellent and enjoyable. Your planning took all the worry and stress of traveling away so we could enjoy Panama to the fullest. Our driver, Roberto, and our 2 guides were excellent and fun to travel with. I will highly recommend KimKim to anyone wanting to organize a custom vacation experience like we had. Thank you ! Zulmy did a wonderful job for us. She understood our requests and provided good options. I think she did a great job. We really appreciate your comments about your travel. Working with you guys was very fun and interesting. We are glad that you had a wonderful trip full of experiences. We keep in touch if you want to comeback! We felt the length of the trip, the schedule, the accommodations, the personnel, etc. were all top notch. We knew essentially nothing about Panama before we went, so we weren't sure whether we were signing up for and engaging in things that would be meaningful or not. But, with Zulmy's help we together came up with a great itinerary that kept us happy and entertained and informed the entire time. The only disappointment was that there were a couple of times where we were working together on-line and suddenly she would disappear for a few days. In the end the package she helped put together for us was excellent.